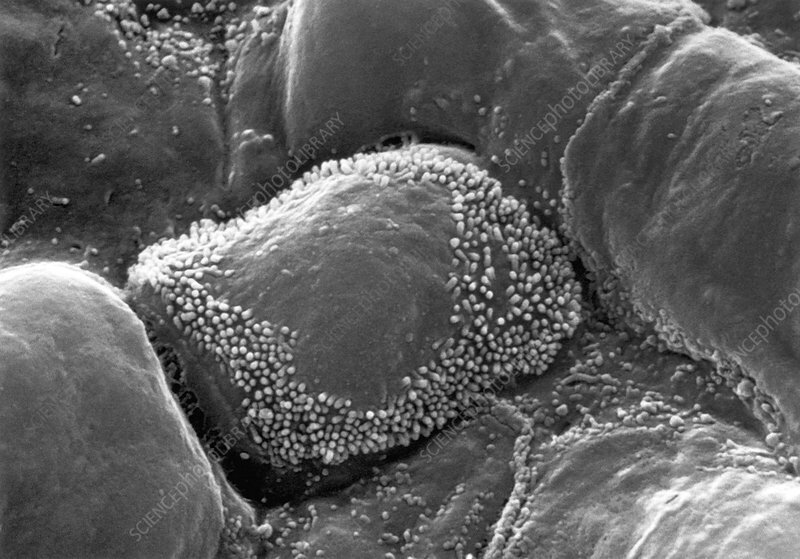 Human pulmonary alveolus showing type 2 alveolar cell with its short microvilli located mainly at the periphery of its bulging surface. Magnification 7600x. Transmission electron micrograph.